By purchasing 2 pieces the price is 18.00. By purchasing 3 pieces the price is 24.00. 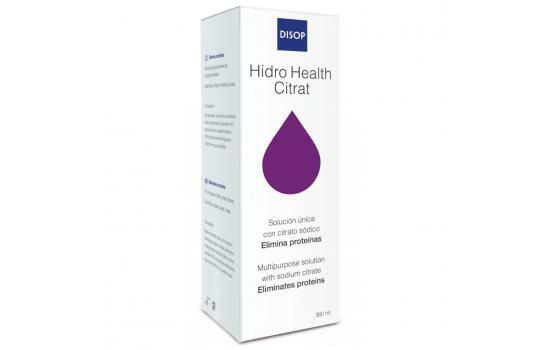 Hidro Health Citrat Hidro Health Citrat is a multipurpose solution with citrate for cleaning all types of soft contact lenses (conventional, frequent replacement, disposable, etc.). Proteins are a component of tears which adhere to the lens, especially conventional hydrogel lenses, as a result of electrostatic interaction. Citrates contained in the formula penetrate this structure and sequester calcium, thereby weakening the deposits and loosening the proteins from the lens surface. 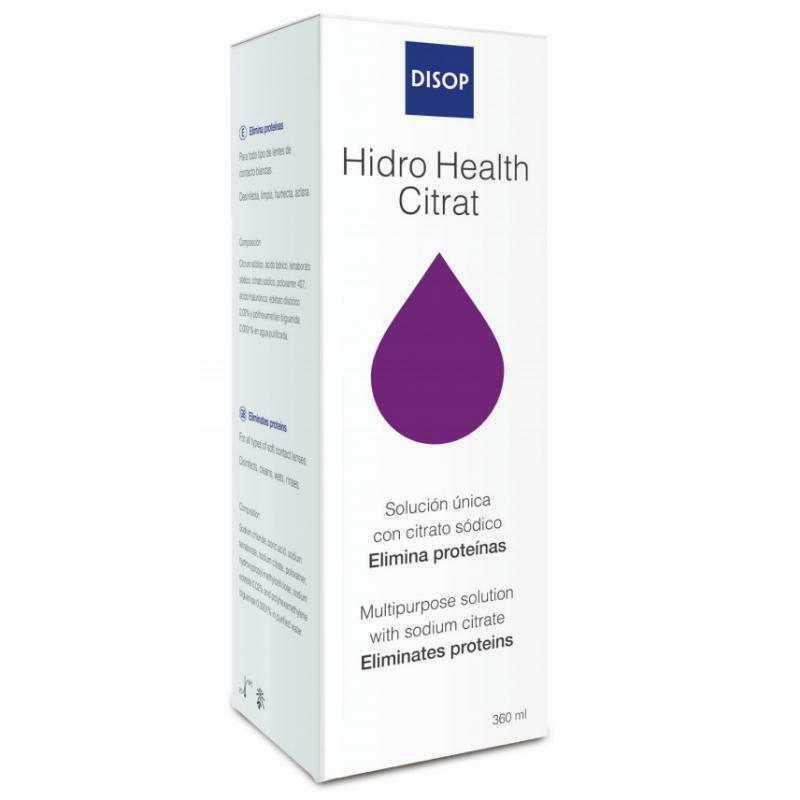 The presence of citrates in the formula ensures effective protein removal from disposable lenses, eliminating the need for enzymatic cleaning tablets. 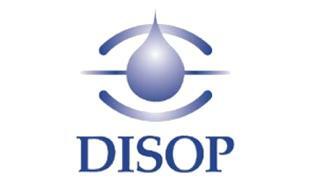 Indicated for hydrogel and conventional lens wearers with normal eyes. For lens wearers who use a multipurpose solution for maintenance of conventional contact lenses, additional enzymatic cleaning is recommended.